I hope you’ve all had a lovely week :). So based on the fact that my family have started arguing over whether or not we should turn the heating on, I think it’s safe to say that Autumn is officially here. And this could just be me, but in my head Autumn has always been labelled the ‘lazy’ season. Like, if Autumn were a person I feel as if it would just stay home and watch Netflix while Summer, Winter and Spring were off at the gym, you know? Basically, Autumn is a seasonal representation of myself. Naturally, this means that the next few weeks for me will just be a series of consecutive lazy days – (much like the majority of my life, but we can ignore that part). Of course if you’re a true Master of the Art of Laziness like myself, you’ll know that a lazy day is incomplete without a deliciously autumnal snack to go with it (because there’s no use trying to master the lazy lifestyle if you’re not committing to an unhealthy diet as well 😉 ). These simple syrup cakes make a perfect, cosy sweet treat on a rainy day and only take a couple of minutes to make! Let me know in the comments below what other fall recipes you guys want to see this month and make sure to like and share this post if you enjoyed it :). 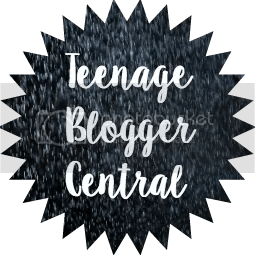 Also in case you guys missed my previous posts, my 1 year blogiversary is coming up on the 26th of October and I’m trying to reach 3000 followers! If each of you could help me out and get one other person to subscribe to Artsy Teen I’d achieve my goal in no time! Preheat oven to 180’C (350’F) and line a muffin tray with 20 paper cases. Cream butter and sugar together, then beat in eggs. Warm the golden syrup in a microwave (or in a pan over a low heat) until it’s runny. Add to the mixture and beat well. Add the flour and milk. Mix until well combined. Spoon the mixture into paper cases and bake in the oven for 15-20 minutes (or until the cakes are golden and springy to the touch). Remove the buns from the oven and drizzle a teaspoonful of syrup onto each bun while they’re still hot. These look very yummy. I’m going to bake some! let me know what you think of them once you do! Thanks 🙂 They did taste pretty amazing! That looks like A LOT of butter but it looks totally worth it. Looks so good! Must try. Good job! YESSSS we’re gonna get you to 3000! 🙂 I can’t wait for your one year – you’ve done so, so well!